Notice: Last links for the year. Omnivoracious (Jeff VanderMeer) on Leonard S. Marcus. Locus Roundtable on Collective Nouns. Tor.com (Irene Gallo) on Art History Through Sci Fi Colored Glasses. 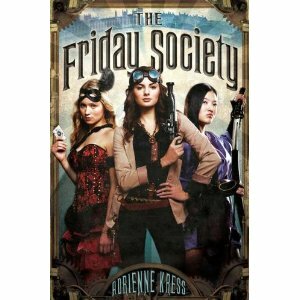 Fantasy Faction (Cheryl Morgan) on Women to Watch Out For in 2013. The Book Smuggler (Rachel Hartman) Guest Post. Innsmouth Free Press (Paula R. Stiles) on What’s So Great About Sword and Planet? Smart Pop Books (Ellen Steiber) on The Divine Cat. Wired (David Axe) on This Scientist Wants Tomorrow’s Troops to Be Mutant-Powered. John Joseph Adams on Hugo Awards Nomination Period Opens Jan. 1 + Free Stuff for Worldcon Members. Black Gate (David E. Harris) on Another Arbitrary Top 10 List: Fantasy Films. WhatCulture! (Shaun Munro) on 10 Best Movie Villains of 2012.
io9 (Charlie Jane Anders) on The 12 Most Epic Action Heroes of Science Fiction and Fantasy. Ed Kurtz on The Best Damn Books of 2012. BookRiot (Nicole Perrin) on Genre Kryptonite: Books You’ve Never Heard of By Authors You Have. BookRiot (Kim Ukura) on Genre 2013 Calendars for Book Nerds. BookRiot (Rebecca Joines) on Book Riot Readers’ Top 50 Favorite Novels. Kirkus Reviews (John DeNardo) on Warhammer 40K in a Nutshell. Barnes and Noble Review (Amy Benfer) reviews The Last Dragonslayer. My Bookish Ways reviews Inheritance. Jamie Todd Tubin on Thoughts on The Hobbit. Maurice Broaddus reviews The God Engines. Call of Cthulhu: Drunken Hallucinations by Tiziano Baracchi. Casseopeia Cover by Winona Nelson. The Last Moments by James Strehle. A postcard from my realm by Shue13. NASA Plans to Turn Asteroid Into Space Station. According to Lois Lowry, The Giver Movie is On Its Way, Complete With Jeff Bridges. 40k Books on Is There Anything You Would Like to Ask to Bruce Sterling? Notice: Will be ending the link aggregation in 2013. Lightspeed Magazine (Earnie Sotirokos) interviews Sarah Langan. Lightspeed Magazine (Geek's Guide to the Galaxy) interviews Tad Williams. h+ magazine (Peter Rothman) interviews John Shirley. Jim C. Hines on Christmas Pose-Off: Lights vs. Tights. NPR (Jordan G. Teicher) on Literary Iceland Revels In Its Annual 'Christmas Book Flood'. NPR (Glen Weldon) on Graphic Novels That Flew Under The Radar In 2012. SciFiNow ( James Hoare & Daniel Cairns) on Top 20 Best Zombie Movies. Rich Horton on Summary: Beneath Ceaseless Skies, 2012. Action Scene by by Maxim Revin. Hounds of Tindalos by James Strehle. Awesomely Bizarre Soviet Space-Themed Holiday Cards. 21 Retro Travel Posters Feature Fantasy & Sci-Fi Destinations. Lawrence M. Schoen interviews Gareth L. Powell. Omnivoracious (Susan J. Morris) on Why Side Characters Steal the Spotlight (and How to Steal Some Back). Weird Fiction Review (Ann & Jeff VanderMeer) on Fourteen Notable Women Writers of the Weird. Strange Chemistry (Jonathan L Howard) Best of 2012. The New York Times (David Streitfeld) on Little Sign of a Predicted E-Book Price War. Bare Bones E-Zine (Peter Enfantino & Jack Seabrook) on Batman in the 1970s Jumbo-Sized 50th Anniversary Issue! : July and August 1977. The Qwillery (Caridad Pineiro) on Stop and Smell the Roses. Peter F. Hamilton's Nights Dawn Trilogy - Reissued. Azra Alagic interviews Angela Slatter. Keith Brooke interviews Robert Freeman Wexler. Next Big Thing with Janice Hardy. Kirkus Reviews (Amy Goldschlager) interviews Adam Connell. Robot Six (JK Parkin) interviews Faith Erin Hicks. Matthew Sylvester interviews Jonathan Green. Weird Fiction Review (Adam Mills) interviews Justin Isis. Weird Fiction Review (Adam Mills) on End of the Year Booklist: What Are Your Favorites? Book Life Now (Troy D. Smith) on Using Meyers-Briggs to Keep Your Characters in Character. Nora Swisher on Day Seven and Eight. Three If By Space (Adam P. Knave) on What to expect when you’re expecting Science Fiction finales. Books Worth Reading on Author Worth Reading: Octavia Butler and Madeleine L’Engle. Middle-earth and J.R.R. Tolkien News & Articles (Michael Martinez) on How Faithful is Peter Jackson’s “Hobbit” to Tolkien’s Book? Orbit (James Long) on Our Top Five Monsters from Science Fiction and Fantasy. Geek Exchange (Andrew Liptak) on 12 Dystopian Future Films to Ride Out the End of the World (if you still think there’s a chance), 7 TV Shows that Document the Collapse of (non-Mayan) Society, and 10 Post-Apocalyptic Books (and a Graphic Novel) to Read After December 21st. Geek Exchange (Brian Konner) on GEEK’s 20 Greatest Joker Moments Ever, Part I.
NPR (Maggie Stiefvater) on 5 Young Adult Novels That You'll Never Outgrow. Los Angeles Review of Books (Amy Goldschlager) reviews The Fractal Prince. My Bookish Ways reviews The Martial War. Carrie Cuinn reviews Fireside Magazine. Wall Street Journal (Tom Shippey) reviews Nexus. Blue Shifting by Eric Brown. 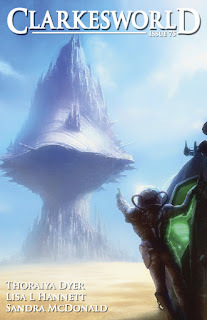 Speculative Fiction 2012 The Best Online Reviews, Essays and Commentary. Long Island, New York’s I-Con 32 Postponed. Guy LeCharles Gonzales interviews Tobias Buckell. SF Squeecast Episode 19 (podcast). Fast Forward interviews Joe Haldeman (video). Civilian Reader interviews EJ Swift. Sense of Wonder interviews Tim Pratt. Slate (June Thomas) interviews Fred Bass. Book View Cafe (Patricia Burroughs) on 2012 and Books I’ve Loved. Kristine Kathryn Rusch on The Business Rusch: Where Art Meets Commerce. Book Life Now (Troy D. Smith) on Finding Your Audience and Branching Out. Inkpunks (Erika Holt) on Scene-stealing Antagonists. Tor Books Blog (John Gwynne) on The Inspiration Behind Malice. Gwenda Bond on Emma Newman & A Split Worlds Story. The Book Smugglers (Jen Reese) on books. Shah Wharton (Angela Brown) on PUFF. The Guardian (Richard Lea) on Darkness in literature: 'Nightfall' by Isaac Asimov. DAW Books Book Discussion: "Shadowheart". Kirkus Reviews (Andrew Liptak) on T.H. White's 'Once and Future King'. Suvudu (Sarah Peed) on Dear Readers: A Letter from Sarah Peed. Sci-Fi Fan Letter on If I Had ALL the Time in the World, Teen Edition part 2. Timothy C. Ward on Why AudioTim is Back. NPR (Lynn Neary) on Self-Publishing: No Longer Just A Vanity Project. Mashable (Eric Larson) on Scientist Says Human Cloning Could be Possible in 50 Years. WhatCulture (Shaun Munro) on 10 Awesome Death Scenes From Awful Horror Movies. Newsarama (Graeme McMlilan) on The 10 (Fictional) Comic Book People of the Year. SciFiNow (James Hoare) on Top 5 best comics and graphic novels of 2012. AbeBooks on The top 100 most searched for out-of-print books. Tor.com (Adam McGovern) on Ending Well: The Best Comics You Won’t See in 2013. 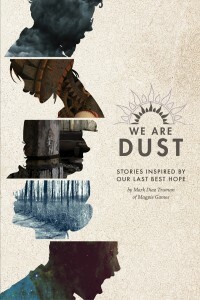 Quill & Quire Canadian booksellers pick top science fiction and fantasy books of 2012. The Telegraph (Tim Martin) on Science fiction and fantasy of the year. Lit Reactor (Rajan Khanna) on Top Ten: The Year's Best Fantasy - 2012. The Functional Nerds (Catherine Russell) reviews Wyrd Sisters. Tor.com (Grady Hendrix) on Cujo. Fantasy Art by Simon Palmér. KGB reading photos December 19, 2012. Constantin Film Picks Up Rights To Sci-Fi Novel ‘Unwind’. Kevin Hearne sells six to Del Rey. Now available: the New Millennium Edition of High Wizardry. Angry Robot Christmas Audiobook Competition. Nick Mamatas & Brian Keene read at KGB Bar January 16. My Bookish Ways interviews Diana Pharaoh Francis. Fast Forward interviews Geoffrey A. Landis. The Qwillery interviews Alexa Egan. Omnivoracious (Seira Wilson) on Ally Condie (video). Fantasy & Science Fiction (Stephen M) interviews Steven Popkes and Robert Reed. CNN (Aaron Sagers) interviews Jenna-Louise Coleman. Live Science (Stephanie Pappas) interviews Alan Alda. Tor.com on Harriet McDougal, Tom Doherty, and Brandon Sanderson (video). Mary Robinette Kowal (Anne Lyle) on The Merchant of Dreams. John Scalzi's The Big Idea: Ramez Naam. Tor Books Blog (Jamie Gibbs) on Beyond Boneshaker: The Extended Steampunk Universe. Blastr (Matthew Jackson) on Why Neil Gaiman says his 2013 book tour may be his last ever. Fantasy Faction (Eric Christensen) on Fantastic and Forgotten Christmas Stories. Strange Chemistry on Cassandra Rose Clarke’s favourite movies. Tor.com (Mordicai Knode) on Pathfinder’s Best Bestiaries. Smart Pop Books (Dave Hodgson) on A New Eve. John Wiswell on 10 Elements of Reality Not Allowed in Fiction. Kirkus Reviews (John DeNardo) on Of Space Travel and Space Suits. The New York Times on Favorite Book Cover Designs of 2012.
io9 (Charlie Jane Anders) on Best and Worst Science Fiction/Fantasy Movies of 2012. Of Blog on New and forthcoming e-book collections/novel that you should consider reading. RT Editors' Best of 2012: Regina's Picks. My Bookish Ways reviews Seed. Conceptual Art by Park Insu. Sci-fi Illustrations By Jim Burns. Free Wallpaper of the New Spring Ebook Cover. Elven Passage by George Rushing. Prime Books Announces New Digital Imprint: Masque Books. BBC America Commissions Full Season Order of 'The Nerdist' With Chris Hardwick. 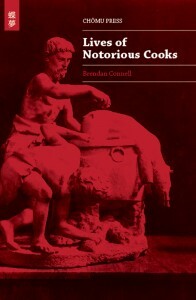 Penguin Group Reaches Settlement With Justice Department Over E-Book Pricing. Wars of Light and Shadows. Special holiday e-book price for Firstful of Charms. Tau Ceti's planets nearest around single, Sun-like star. Bryan Singer Enters The Twilight Zone. My Bookish Ways interviews Ramez Naam. Flickering Myth (Trevor Hogg) interviews Ramez Naam. Manga Maniac Cafe interviews Adrian Faulkner. This is Horror interviews Lee Davis. Tor.com (Stubby the Rocket) profiles Michael Moorcock. Adventures in SciFi Publishing interviews Jack McDevitt (podcast). Hollywood (Christian Blauvelt) interviews Timothy Zahn. The Functional Nerds interviews Carrie Cuinn (podcast). 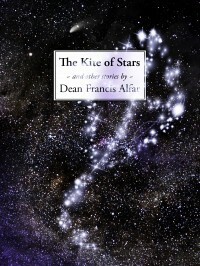 Fantasy Book Critic (Marianne de Pierres) on The Sentients of Orion. Theodora Goss on Finding Your Core. Janice Hardy on 10 Things to Remember About Sequels. The Qwillery (Diana Pharaoh Francis) on Becoming a Hero. Ambling Along the Aqueduct (Rachel Swirsky) on Highlights of 2012. Ambling Along the Aqueduct (Veronica Schanoes) on Art's Emotional Extremes in 2012. Weird Fiction Review (Quentin S. Crisp) on Yuugen Goes Without Saying. The Guardian (Simon Dunn) on Anti-science fiction. The King of Elfland's Second Cousin on Satire and the Fantastic. David Levine on Seeking ebook reviewers. Wired (Jason Huggins) on Robots Are Finding the Intersection of Cool and Useful. Blastr (Scott Edelman) on 382 awesome holiday gift ideas for the sci-fi lovers in your life. SciFiNow (Martin Glick) on Top 5 best science fiction and fantasy books of 2012. The Galaxy Express on Does Sci-Fi Romance Need More Series To Succeed? David Brin on The near future of manned spaceflight. Omnivoracious (Jeff VanderMeer) on The Best Fantasy and Science Fiction Collections of 2012. Digital Artworks by Daren Horley. The End by Paul Chadeisson. Ye Pirate Muncher by Jonny Duddle. Stopping for Directions by Brad Rigney. Dave McKean Reveals Artwork for Neil Gaiman’s The Ocean at the End of the Lane. Play D&D at Detroit's Immortal ConFusion with 8 Sci-Fi/Fantasy authors. BVC Announces The Meri by Maya Kaathryn Bohnhoff. Strange Chemistry introduces Rosie Best. RosettaBooks releases Arthur C. Clarke ebook collection. The Art of Blizzard Entertainment Book Launch and Art Exhibition. Journey to Terreldor Book Launch. The Coode St. Podcast with Maureen McHugh. My Bookish Ways interviews Mandy Hager. Erin Underwood interviews Ellen Datlow & Chizine Publications. The Qwillery interviews Trey Garrison. Lawrence M. Schoen interviews Lavie Tidhar. SFX (Dave Bradley) interviews Gareth L. Powell. BBC The World interviews Ursula K. Le Guin and China Mieville (podcast). Tobias Buckell on How I used Kickstarter to reboot a book series, and my career (and maybe my life?). Omnivoracious (Susan J. Morris) on Turning Passive Plots into Active Plots. Juliette Wade on Designing character interviews that really matter (including genre-inspired questions). Sarah McCarry on C'est Nous: A Conversation In Solidarity with the Girl. Ambling Along the Aqueduct (Sarah Tolmie) on 2012 In Review. Ambling Along the Aqueduct (Jeffrey Ford) on Reading and Viewing in 2012. Avery Book Nook (Adrienne Kress) on Comedy. Book Life Now (Troy D. Smith) on Collaborative Novels: Like Herding Cats? Tor Books Blog (Paul Cornell) on Writing Across the Mediums. William King (Howard Andrew Jones) on Sword And Sorcery. Ian Sales on Best of the year 2012. Smart Pop Books (Thomas Flamson) on Free Will in a Deterministic Whedonverse. Jamie Todd Rubin on Why I Don’t Self-Publish My Stories. Kindertrauma (Kevin M.) on Superfriends: The Lord of Middle Earth. Melville House (Claire Kelley) on Books for the end of the world. Tor.com (Bridget McGovern) on 11 Odd, Campy, Surreal Holiday Specials That Should Be Classics. SciFiNow (Joe Dussander) on Top 5 best sci-fi, fantasy and horror films of 2012. Functional Nereds (Paul Weimer) reviews Walk the Fire. Locus (Howard Waldrop and Lawrence Person) review The Hobbit. Barnes and Noble Review (Paul Di Filippo) on Almost Invisible Worlds. Requiem Angel by Eric Deschamps. Wheel of Time Book Trailer Played Before Hobbit Screenings. More numbers: Ebook sales projection for 2012. Stoker Awards Nomination Period Now Open. Nebula Awards Nomination Period Now Open. World Fantasy Awards Nomination Period Now Open. The Dragon Lords, world's first 'cloud-sourced' novel, prepares to land. Furious Fiction interviews Karin Tidbeck (video). Fran Wilde interviews Aliette de Bodard. Fantasy Faction interviews Lou Morgan. Speculate interviews Joe Abercrombie (podcast). Timothy C. Ward interviews Ramez Naam (podcast). Los Angeles Times (Irene Lacher) interviews Michael Chabon. This is Horror (Geoff Brown) on 10 Must Read Australian Horror Writers. Book View Cafe (Marie Brennan) on Folktale style. Stroppy Author on Who pays the piper? Ambling Along the Aqueduct (Brit Mandelo) on The Pleasures of Reading, Viewing, and Listening in 2012. Ambling Along the Aqueduct (Tansy Rayner Roberts) on Favourites of 2012. Ambling Along the Aqueduct (Sue Lange) on The 2012 Experience. Ambling Along the Aqueduct (Nancy Jane Moore) on Read and Appreciated in 2012. Ambling Along the Aqueduct (Lynne M. Thomas) on The Pleasures of Reading, Viewing and Listening in 2012. Book Life Now (Howard Andrew Jones) on Marketing. Genevieve Valentine on Ten Things You Should Know About The Hobbit. Rich Horton Summary: F&SF, 2012. Chuck Wendig interviews Michael R. Underwood. Ginger Nuts of Horror interviews Gary McMahon, Dave Watson. Charles Stross (Stina Leicht) on The Algebraic Properties of Equality in SF. Kristine Kathryn Rusch on The Business Rusch: Writing Like It’s 2009. Juliette Wade on Questioning the Monologue of Evil Triumph. Ambling Along the Aqueduct (Rebecca Ore ) on Nicaragua and Alexandria. Ambling Along the Aqueduct (Christopher Barzak ) on The Year in Review. Cheryl Morgan on Women In Sensible Social Situations. Jim C. Hines on Wait, What Were We Laughing At? The Guardian (Damien Walter) on Alif the Unseen: speculative fiction meets the Arab spring. Tor.com Reviewers’ Choice 2012: The Best Books We Read This Year. Tor.com (Scott Bakal) on Creating the Art for Kathryn Cramer’s “Am I Free to Go?”. Tor Books Blog (Louise Buckley) on Maps: From Concept to Finished Design. Black Gate (Sarah Avery) on Teaching and Fantasy Literature: More on Writing, and Teaching, on Your Feet. Fantasy Faction on The Craft - Part Five: Criticism. Orbit (Ellen Wright) on What has The Hobbit meant to you? Arcfinity (Jon Turney) on Forever Alone Drone. Lord of the rings posters by Olly Moss. Dragon Boats by Neil MacCormack. Glog Guard by David Levy. A Ordem dos Arquivistas by Yuji Schmidt. Cover Reveal: Dreams and Shadows. 2012 Damon Knight Memorial Grand Master Awarded to Gene Wolfe. David Levin's website gets a facelift. 19 Gene Wolfe Books Now Available Again in Ebook. Tallow Candle: Hans Christian Andersen's 'first work'. Announcing the 20-city US tour for Homeland, the sequel to Little Brother. Listen to Wintery Genre Readings in Brooklyn This Friday. Weird Fiction Review (John Langan) interviews Paul Tremblay. Fast Forward interviews Phyllis Irene Radford (video). My Bookish Ways interviews Ania Ahlborn. Orbit interviews Gail Z. Martin. The Qwillery interviews Garth L. Powell. The Coode St. Podcast episode 126. The Functional Nereds interviews Jonah Knight (podcast). BBC interviews Quentin Blake (video). Tor.com conversation between Tom Doherty and L.E. Modesitt Jr. Fan Girl Blog interviews Timothy Zahn. Grasping for the Wind (Erin M. Evans) on D&D as Inspiration. Ambling Along the Aqueduct (Gwyneth Jones) on 2012 Review. Amblng Along the Aqueduct (Cheryl Morgan) on Reading, Viewing, and Listening in 2012. Chuck Wendig on 25 Gifts For Writers. Mary Robinette Kowal on Supplemental material for Writing Excuses — A Fire in the Heavens. Omnivoracious (Robin A. Rothman) on "The Hobbit": An Unexpected Controversy. Weird Fiction Review (Desirina Boskovich) on WFR’s 101 Weird Writers: #17 — William Gibson and John Shirley. Christopher Priest on Lice in the Locks of Literature. Jim C. Hines on Pose-off with John Scalzi. Heroes and Heartbreakers.com (Heather Massey) on Extraordinary Heroines—and the Heroes Who Love Them—in Sci-Fi Romance. Fantasy Faction on Top 10 Anticipated Fantasy Books for 2013 – Part One: Readers’ Choice. WhatCulture! (Darragh O'Connor) on 5 Sci-Fi Movies You Didn’t Realise Were Shameless Rip Offs. Charles Stross (Stina Leicht) on Always Look on the Bright Side of... SF. Edward Willett on My future city: I dabble in public prognostication. Phil Athans on Buy My e-Books, Please. Staffer's Book Review reviews The Bones of the Old Ones. Digital Art by Xueguo Yang. Comic Book Movie Posters by Pabla Bazan. So... Anyone else excited about The Hobbit this week? by Justin Gerard. 1977: Sport in Space Colonies. The Hobbit: An Unexpected Journey’ Giveaway. BVC Announces Welcome to Welton by Marie Brennan. John Scalzi’s Video Game Project Morning Star is a First Person Shooter With a Twist. Stranger Things Happen Limited Edition is here. Barnes & Noble Announces “Buy a NOOK®, We’ll Give a Book" Holiday Initiative. Intersection near L.A. library named for Ray Bradbury. Cassandra Clare, Sarah Rees Brennan & Maureen Johnson Collaborate on Shadowhunters Spinoff. The December #TorChat: A Special Tor Event. The Next Big Thing with Christopher Barzak. Wag the Fox interviews Nicholas Kaufmann. Lawrence M. Schoen interviews Heather McDougal. My Bookish Ways interviews Dave Freer. The Galaxy Express interviews Erica Hayes. Ginger Nuts of Horror interviews Thana Niveau. Omnivoracious (Susan J. Morris) on Five Dos and Don’ts for Picking an Editor. Charles Stross (Stina Leicht) on E Ticket*. Juliette Wade on Some Gender-related thoughts about How to Train Your Dragon. Ambling Along the Aqueduct (Nisi Shawl) on Keeping Calm and Carrying On. Book Life Now (Howard Andrew Jones) on The First Glimmers. The Qwillery (M.C. Planck) on Intergalactic Exploration. This is Horror on 10 Must Read Australian Horror Writers . Bare Bones e-zine ( by Peter Enfantino & Jack Seabrook) on Batman in the 1970s Part 48: March and April 1977. Tor/Forge Blog (Felix Gilman) on A Letter from Harry Ransom. Tor/Forge Blog (F. Paul Wilson) on The Toughest Part of Writing Cold City. Tor/Forge Blog ( J. A. Souders) on Crying Bully. Tor/Forge Blog ( S.J. Day) on What if? Two little words that created the world of S. J. Day’s Eve of Darkness. Michael Swanwick on Unpublished and Doing Better Than You Think. Jon Sprunk on Star Wars Discussion III. Weird Fiction Review (Edward Gauvin) on The Water Spider. OpenCulture on Neil Gaiman Gives Sage Advice to Aspiring Artists (video). Smart Pop Books (Paul Lytle) on The Golden Shield. Paul McAuley on An Experiment. The Functional Nerds (Paul Weimer) reviews Geekomancy. Rich Horton on Strange Horizons, 2012. Le Souffle du Temps - Where Time Winds blow by Manchu. Cover Reveal: Between Two Thorns by Emma Newman, design by Sarah J. Coleman. Halo 4 Promo Art by John Liberto. Conceptual Artworks by Kentaro Kanamoto. Recovering Author Tom Piccirilli Has New Book, Still Needs Our Help. VIZ Offers Android Users Free Way to Read Weekly Shonen Jump Alpha. Simon & Schuster Has a New Deal With Amazon, Other Retailers. Free eBook Site BaenCD (Fifth Imperium) Shuts Down as SF Publisher Baen Books Moves to Sell eBooks in the Kindle Store. Odyssey Workshop interviews Sheila Williams. Ginger Nuts of Horror interviews D.R. O'Brien. The Agony Column recording of Ken Scholes, Andrew Mayer, and Tad Williams Discuss EPIC Fantasy Moderated by Terry Bisson (podcast). Charles Stross (Stina Leicht) on Danger, Will Robinson! Danger! and The Importance of Being Geek. John Scalzi's The Big Idea: Adrienne Kress. Clarkesworld on A Quick Slush Snapshot. Holly Black on How I Wrote The Coldest Girl in Coldtown. David Brin on Another look at Earth: 22 years later. Plus a Reader's Guide. Edward Willet on How I became a DAW author and TSR, Gygax, D&D & me. The Book Smugglers (Lenore Appelhans) on Five Favorites of 2012. Salon.com (Samuel Sattin, The Weeklings) on Dungeons & Dragons: My dorky literary muse. Salon.com (Robert Rodi) on Bilbo Baggins says, “Buy this!”. Black Gate (John ONeill) on The Black Gate Christmas Gift List. Kristine Kathryn Rusch on Recommended Reading List: November, 2012. WhatCulture! (Christopher Weeks) on The Rise And Heartbreaking Fall of Doctor Who. Fantasy Book Critic on The Highly Awaited SFF Books of 2013. Ambling Along the Aqueduct (Timmi Duchamp) on Male pseudoynms for women writers: take two. Graham Edwards reviews Revisiting Cinefex (28): The Fly, Big Trouble in Little China, Short Circuit. What if Norman Rockwell illustrated scenes of Gotham City life? Firestar, Batman, Captain Marvel and More. Hydra House is publishing this anthology in recognition of the 30th anniversary of Clarion West. ‘Fantastic Four’ Reboot Gets A 2015 Release Date. Gryphon Books Inventory, Collection Destroyed by Sandy. Free ebook when you Preorder The Abnormalities of Stringent Strange. RT Book Reviews (Elisa Verna) interviews Mira Grant. The Next Big Thing with Christopher Golden. Chuck Wendig interviews J.D. Rhoades. Infinity Plus interviews Tim Lebbon. Disquieting Visions interviews Gail Z. Martin. Tansy Rayner Roberts on Historically Authentic Sexism in Fantasy. Let’s Unpack That. Book View Cafe (Nancy Jane Moore) on Ursula K. Le Guin Saved My Life. Kristine Kathryn Rusch on The Business Rusch: Ghosts of Writers Future. John Scalzi's The Big Idea: Martha Wells. Mary Robinette Kowal (Jeremy Zimmerman) talks about Kensei. Suvudu Take Five with Erin M. Evans. Charles Stross (Stina Leicht) on Of Blood and Honey, And Blue Skies from Pain. Sarah Newton on Jeff Wayne’s “new” War of the Worlds. Solaris Blog (Juliet E. McKenna) discusses the conclusion of her Hadrumal Crisis. Slate on The Slate Book Review Top 10 of 2012.
iFanboy (Chris Arrant) on Black Canary: Where Do I Start? BBC (Quentin Cooper) on Our never ending obsession with the apocalypse. Jessica Strider on If I Had ALL the Time in the World, Teen Edition part 1. 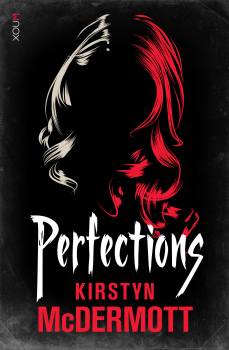 My Bookish Ways on Top 10 Must-Read Titles of January 2013 (Fantasy/Sci-Fi/Horror). Bryan Thomas Schmidt on Many Days Of Christmas – Holiday Themed Science Fiction And Fantasy Stories. The Hunt by Adrian Smith. Concept aliens by Ben Mauro. Cover Art for Requiem by Ken Scholes. New Roger Rabbit Book Coming in November 2013. The Albee Agency Using Testimonials From Authors the Authors Did Not Give. Harlan Ellison + Paul Chadwick team for major new DC sci-fi comic. Gareth L. Powell’s Ack-Ack Macaque gets the comic book treatment. John Scalzi’s The Human Division Debuts on January 15th. SFWA Pacific Northwest Reading Series for 2013. The Daily Fig author chat with Holly Black and Julie Kagawa. Next Big Thing with Erin M. Evans. If You're Just Joining Us interviews Richard Bowes (podcast). Civilian Reader interviews Tom Lloyd. SF Mag interviews Vernor Vinge. Fantasy Book Critic (Mihir Wanchoo) interviews Peter Clines. Book View Cafe (Katharine Eliska Kimbriel) on Fantasy is the Language of the Night – On Ursula K. Le Guin. The King of Elfland's Second Cousin on The Anatomy and Value of Fictional Violence. SF Novelists (Alma Alexander) on Back Door into Magic. 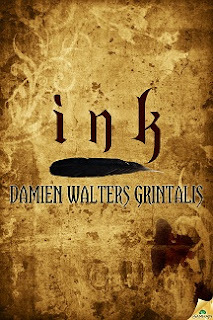 Weird Fiction Review (Adam Mills) on World Fantasy 2012. 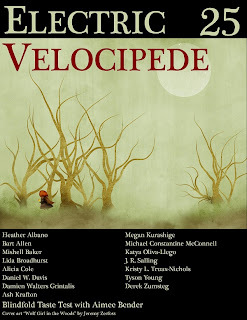 Weird Fiction Review (Adam Mills) interviews Livia Llewellyn. Weird Fiction Review (Lynne Jamneck) profiles Kathe Koja. Women's Media Center Live with Robin Morgan interviews Ursula K. Le Guin (podcast). Apex Magazine (Maggie Slater) interviews Alethea Kontis. John Scalzi's The Big Idea: Robert Boyczuk. The Qwillery interviews James L. Sutter. The Next Big Thing with Narrelle M. Harris, Amanda Pillar, Stina Leicht. Omnivoracious (Chris Schluep) interviews Karen Marie. Lightspeed (Caleb Jordan Schulz) interviews Ken Liu. Lightspeed (Jennifer Konieczny) interviews Brian Evenson. Tor Books Blog (Julie Crisp) interviews Paul Cornell. My Bookish Ways interviews Adam Connell. 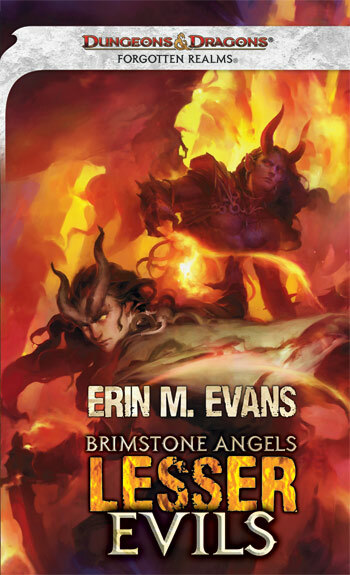 Philip Athans interviews Erin M. Evans. The Functional Nerds interviews Bradley Beaulieu (podcast). Suvudu (Fictional Frontiers) interviews Drew Karpyshyn (podcast). Mass Movement #34 featuring Gareth Powell, Gary McMahon, Eric Brown, Rowena Corey Daniells. Galley Beggar Press (Cheryl Morgan) on Wizard's Tower Press. Book View Cafe (Deborah J. Ross) on Do You Outline Your Novel? Should You? Chuck Wendig on 25 Things I’d Like To Say To My 18-Year-Old Self. Haikasoru on The 2012 Haikasoru Holiday Shopping Guide. Time Top 10 Fiction Books. Mary Robinette Kowal (Cassie Alexander) on Moonshifted. Inkpunks (Caroline Ratajski) on Listmaking and Letting Go. The Guardian (Paul Krugman) on Asimov's Foundation novels grounded my economics. Apex (Vylar Kaftan) on You’re Not Supposed to Write That: Taboos in Speculative Fiction. Paul Kincaid on What Rough Beast, part 2. Alastair Reynolds on A compass. A. Lee Martinez on Finding Pseudoscience. Oxford University Press Blog (David Rothery) on Mars: A geologist’s perspective. Space.com (Mike Wall) on NASA Needs Stronger Direction to Lead In Space: Report. The FW (Kevin Maher) on 12 Lost Movies You May Never Get to See and 12 Sequels You Probably Didn’t Know About. The Sentinel by Chris Moore. 1970s Space Colony Art from NASA. TSR returns with Gygax Magazine. Coming Soon – Archangel Protocol. Buy One Get One Free on Strange Chemistry Launch Titles. I was tagged by Tansy Rayner Roberts to take part in the Next Big Thing meme, which occurs every Friday. One of my favorite books from Tansy is Love and Romanpunk, a short story collection that I got to read in May earlier this year, and I'm finding her to be one of the original and daring voices in the Australian speculative fiction scene, whether it's her fiction or nonfiction. 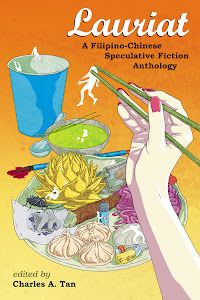 My latest book is the anthology Lauriat: A Filipino-Chinese Speculative Fiction anthology, released by Lethe Press. I also have a short story, "Scions of the Oneroi," appearing in Philippine Speculative Fiction Vol. 8 next year (contrary to what some might believe, I am neither the editor nor the publisher of the series). For Lauriat, I wanted to do an anthology focused on Filipino authors that wasn't occupying the same space as Dean Francis Alfar's Philippine Speculative Fiction anthology series. It then occurred to me that no one really writes about the Filipino-Chinese community--one that I'm part of--using a speculative fiction lens, especially since Realism is what's commonly published here. As for my short story "Scions of the Oneroi," it was originally a stalker story (this blog is titled Bibliophile Stalker after all) and I wondered how an obsessive person could insinuate themselves into a stranger's life. And then there's the Oneroi from Greek mythology, and it just started to click. They're definitely both speculative fiction, leaning more towards the fantasy and horror aspect. Well, Lauriat's an anthology, so the best person to ask would be the contributors. As for my story, it was written with the "you" in mind, so I don't think it would translate well to film. For Lauriat, fantastical stories dealing with the Filipino-Chinese experience. For "Scions of the Oneroi," how does one suddenly become an intimate partner of a stranger? I don't think there are literary agents here in the Philippines. Lauriat was published by Lethe Press while my short story will be published by Kestrel DDM. Editing Lauriat took around a year, from soliciting stories, reading them, editing them, coordinating the artwork and layout, proofing the book, etc. My short story, on the other hand, took a few weeks to write. For Lauriat, it's definitely the first of its kind in the sense that it's tackling concerns from the Filipino-Chinese community using the tools of genre. But there's definitely a lot of anthologies out there that deal with the fantastical and other cultures. Just this year for example, we have Three Messages and a Warning, AfroSF, Breaking the Bow, The Future is Japanese, and Philippine Speculative Fiction Vol. 7. When it comes to anthologies, I've always been fascinated with the editing done by Ellen Datlow, Terri Windling, Jonathan Strahan, Rich Horton, John Joseph Adams, Gavin Grant and Kelly Link, and Steve Berman. In fact, the book is dedicated to them. As for my short story, there was a call for submission for Philippine Speculative Fiction Vol. 8 so I dusted off a short story idea I was working on and submitted it. For Lauriat, I'd like to think it tackles subject matter that's not often tackled in either Realism or in the genre, which tends to be Euro-centric. The anthology was also cited in the Omnivoracious column Writers Don't Cry as one of the five books for writers. 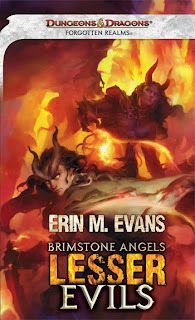 Omnivoracious (Susan J. Morris) interviews Erin M. Evans. ActuSF interviews Michael Moorcock, Nancy Kress, Norman Spinrad (video). ActuSF interviews Michael Moorcock, Robert Charles Wilson, Neil Gaiman, Dave McKean, Nancy Kress (podcast). The Connecticut Forum interviews Neil Gaiman (video). John Joseph Adams interviews Jennifer Pelland. Buzzy Mag (Jean Marie Ward) interviews Robin Hobb (video). Only the Best Science Fiction and Fantasy interviews Courtney Schafer. My Bookish Ways interviews Dave Swavely. Adventures in SciFi Publishing interviews Jason Denzel. Locus Online Michael Dirda and Gary Wolfe (podcast). Lawrence M. Schoen on Walter H. Hunt. Tor Books Blog (Julie Crisp) interviews John Gwynne. The Qwillery interviews Coreene Callahan. SFWA on The Norton Jury on the Norton Award: Why It’s Important for All SFWA Members. The Next Big Thing with Matt Forbeck and Myke Cole. John Scalzi's The Big Idea: Joe Monti. Nick Mamamatas on Even the Underground Needs Editors. Grasping for the Wind (Irene Helenowski) on Promoting Science Through Science Fiction. World SF Blog (Nick Wood) on Africa in Science Fiction. Worlds Without End on Nightmare Magazine's Top 100 Horror Books. N.K. Jemisin on Fantastic Profanity. Smart Pop Books (Bruce Bethke) on Star Wars as Anime. WhatCulture! (Jonathon Carley) on 10 Embarrassingly Shoddy Doctor Who Monsters. Book View Cafe (Ursula K. Le Guin) on Pard and the Poets. Juliette Wade on A character's mental voice is like all the goofy (or not) quotes they've ever memorized. Kat Howard on And it never goes out. City Center by Pawel Turalski. Le Grand Jeu #3 by MANCHU. Sunburst Award Society Announces the Winners of Its First Copper Cylinder Awards. Cover Posing for a Good Cause. Sci-fi Classic Solaris has UK Stage Premiere. First Novels Based Upon Warmachine Steam-Powered Fantasy Wargame and the World of the Iron Kingdoms Role Playing Game. Children’s & YA eBook Revenues Rose 196% in August. Nominations for Science Fiction & Fantasy Translation Awards.